Ministry of Tourism Development & Christian Religious Affairs & Sri Lanka Tourism Promotion Bureau invited premium media, travel evangelists and highly sought after travel influences from France to a high profile press conference held at the "members only" Cercle de l'Union Interalliée at 33, rue du Faubourg St-Honoré in Paris, France on Monday September 24th 2018. 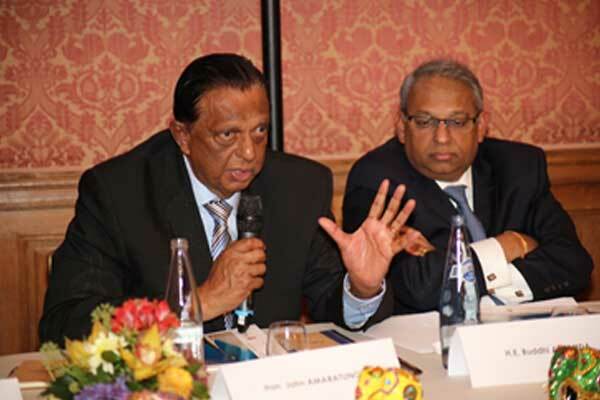 The Press Conference was held under the patronage of The Honorable Minister of Tourism Development & Christian Religious Affairs, John Amaratunga of Sri Lanka; His Excellency Buddhi Athauda, Ambassador of Sri Lanka in France, Mr. Sutheash Balasubramaniam, Managing Director of Sri Lanka Tourism and other official representatives from Sri Lanka and France. The Hon. Minister addressing the media highlighted that " Sri Lanka is an island of all possibilities: relaxation on the beaches of white sands, water sports, trekking, walks in the green tea plantations, even incredible safaris to meet elephants or leopards etc." He added that Sri Lanka is becoming one of the leading destinations for French travelers with arrivals from France surging to 81,000 up to August this year and expected to cross 100,000 mark for the first time in the history before end of 2018. His Excellency Buddhi Athauda, Ambassador of Sri Lanka in France addressing the media ensured that the Embassy of France is fully geared to support the tourism promotions and highlighted the country's various facets which tourists can explore and experience. 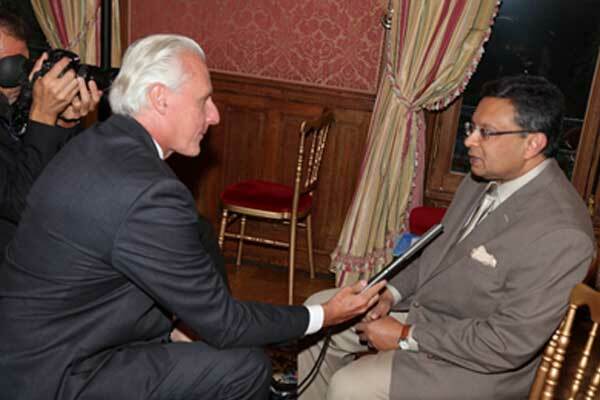 Managing Director of Sri Lanka Tourism Mr. Sutheash Balasubramaniam, made a fully-fledged presentation of destination Sri Lanka to the French media at the event highlighting all products and experiences the country has to offer to avid travelers. The delegation also took time to respond to questions raised by the media at the end of the event on various topics. The high profile event was attended by more than 120 guests representing leading media, travel evangelists, influences, bloggers etc from leading media houses, magazines, newspapers, radio channels, TV channels in France. Media Houses including Europe 1 TV, Elle Magazine, France TV, Huffington Post, Gala Magazine, LCI Television, Le Monde Magazine, Omega TV, Radio France, Radio Monte Carlo,Paris Match Magazine, Select Entertainment travel and Luxe – Magazine TV were present at the occasion.